A veritable suburb of cheap bungalows sits behind Haad Salad Villa, making it a good spot to hunt for those not fussed about being a few minutes from the sand. Ad Book now! Rates from US$15.8++. Average rating 8 from 168 reviews. This is actually two properties, but as we could never get a clear answer of exactly what is going on, and as they share the same reception, we’ve listed it all under one. The closer beachside rooms are set behind a massage sala and the beach restaurant and few have a beach view to speak of. Further back is another couple of dozen bungalows, which we were told had been bought by Mama (with the daughter running the beachside affair) with the intent of flogging them solely through Booking.com and to walk-ins (like us). It was a curious and disorganised situation. Regardless of what will end up actually happening, these newish bungalows back off the beach are a great deal. They’re fan cooled, with hot water showers and firm mattresses. WiFi is available throughout and, at 350 baht, the price is right. Yes there is no view to speak of and it is at least a two minute walk to the beach, but at this price one can’t complain too much. The restaurant is beachside, with a pool table, pretty forgettable bungalow food and shambolic service. 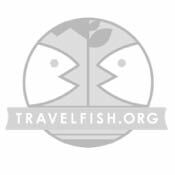 We list here primarily for budgeteers happy to be off the beach, nearby Coral Beach and My Way offer similar fare and we’d certainly try My Way before here. Families and those looking for higher standards could try Asia Bungalows or Salad Hut. 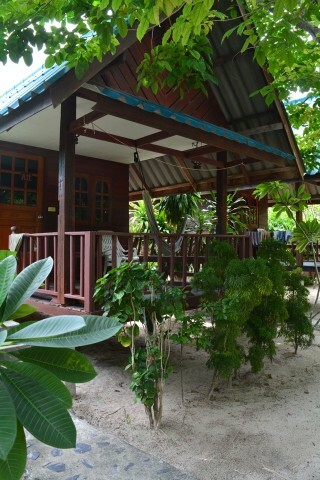 Check rates at Haad Salad Villa on Booking.com.